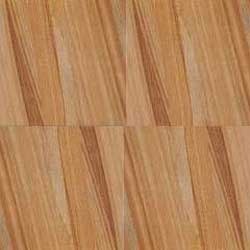 Teak, more popularly known as Khatu Teak is fine grained, creamish in color. The brown veins through out the surface reflects a wooden finish and hence named as teakwood sandstone. This is available only in tiles form in sawn surface finish. This sandstone can not be polished not it is naturally splittable. We offer superior quality range of Teak Sandstone that are widely used in various sectors such as residential, shopping malls, institutions and others, our range of teak sandstone is in high demand by our client spread across the nation. We also meet customized requirement as per clients need. We are a leading supplier and exporter of Teak sandstone. 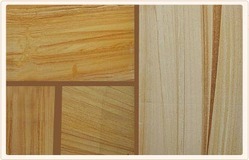 Teak sandstone is found in Rajasthan. It is available in forms of slabs and tiles in sawn finish. In order to gain huge appreciation of our respected patrons, we are engrossed in providing a wide array of Teak Sandstone. Teak Sandstone tiles are used to beautify interior as well as exterior space through flooring and wall cladding. Sandstone tiles can be found in flooring of bedroom, living room, driveways, pedestrian paths, garden paths etc.